Starring: Kevin Zegers, Shawn Ashmore, Emma Bell, Ed Ackerman. Considering this is a film that has three relatively unknown actors, on screen with nowhere else to go for almost the entire 90mins running time, it’s surprising gripping. 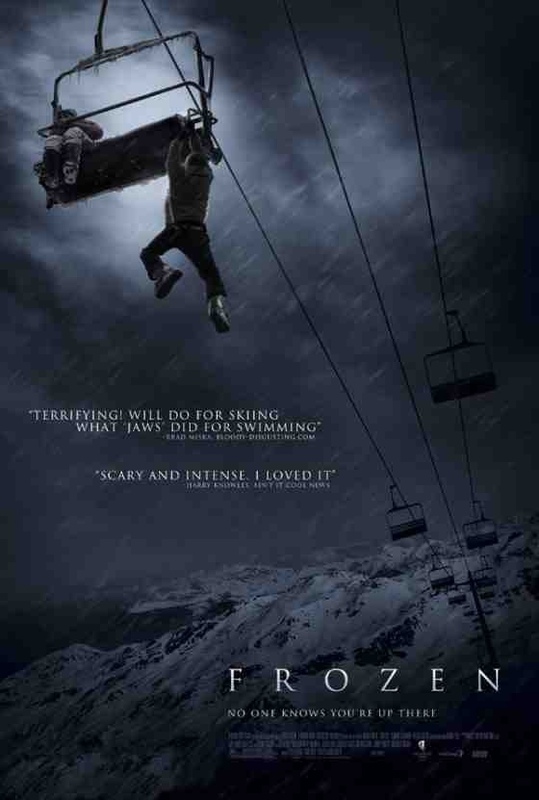 After a day skiing in the mountains, Dan (Kevin Zegers), Joe (Shawn Ashmore) and Parker (Emma Bell) are the last ones on the ski-lift at the end of the day. Unknowingly, the staff believe everyone to have left, and switch off the lift, leaving them stranded 100 feet in the air and the mountain closed for the weekend. No-one will find them for days, and wolves gather below, leaving them fighting for their lives in the freezing cold and facing some very stark decisions to make. If you like films where the characters are faced with life or death decisions to make, causing you to question yourself in a similiar situation then there’s plenty to enjoy from this low-budget shocker. It’s been said several times already but it really is like 2003’s “Open Water”. Not flashy in the slightest and the premise is very simple, which is what helps it work. Tension is built slowly and effectively by B-movie, horror director Adam Green and the three very promising young leads deliver the goods, amounting to a surprisingly enjoyable and tension filled hour and a half. If you ask me, the best piece of advice the three youngsters could have been given in their predicament would have been…’Don’t eat yellow snow’. This entry was posted on January 28, 2012 at 1:42 pm and is filed under thriller with tags 2010. You can follow any responses to this entry through the RSS 2.0 feed. You can leave a response, or trackback from your own site.